The times they are a-changin' (and have been for quite some time now). 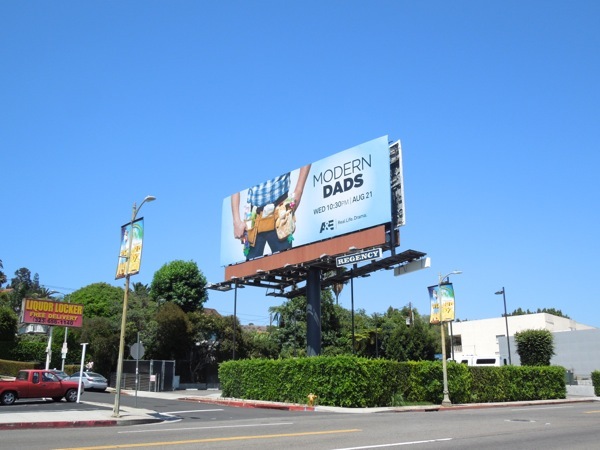 These days cuddly toys and feeding bottles have replaced power tools and home improvement paraphernalia for new fathers, so this fun billboard creative for A&E's Modern Dads certainly hits the target spot on and captures the spirit of a new generation of fatherhood. The new reality series follows four stay-at-home dads, each with different levels of experience at parenting, living in Austin, Texas. For this real-life group of male friends, all-nighters, babes in the bed and empty bottles take on a whole new meaning. 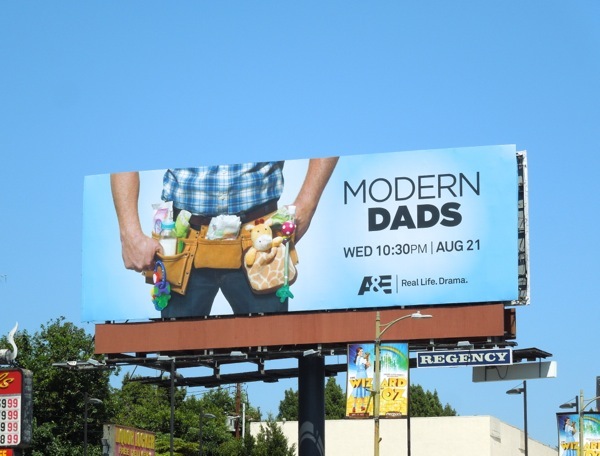 This clever series premiere billboard for A&E's Modern Dads was spotted along Sunset Boulevard on July 29, 2013. 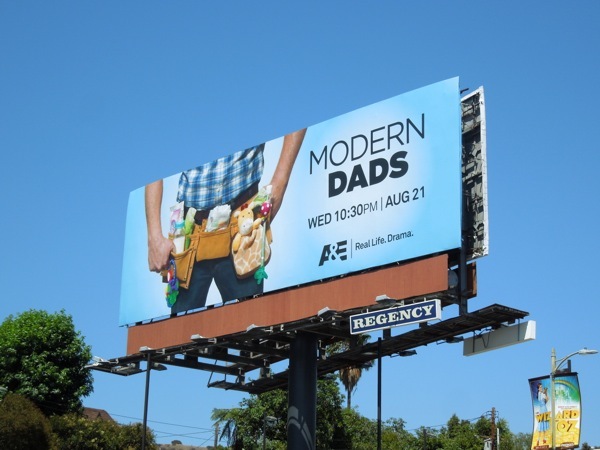 For more great advertisements for this cable channel, be sure to check out these eye-catching A&E TV show billboards.